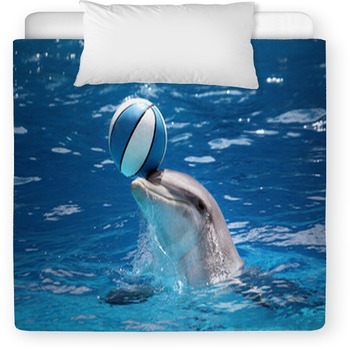 The image of a dolphin is almost as majestic as a fairy. 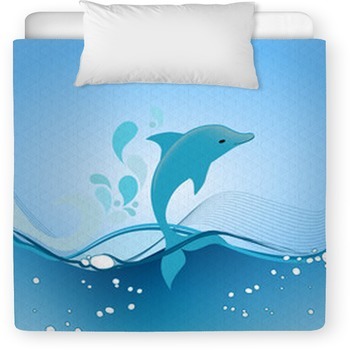 Skimming through the water as if floating through air, the dolphin is an animal that is becoming more and more popular among new moms and dads. 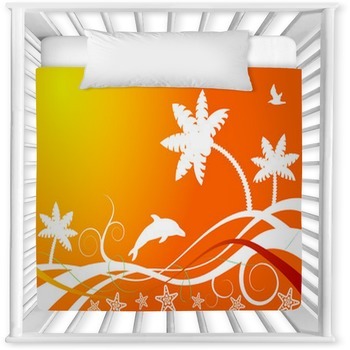 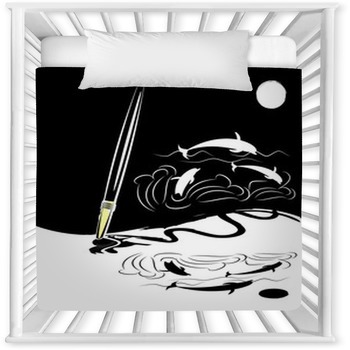 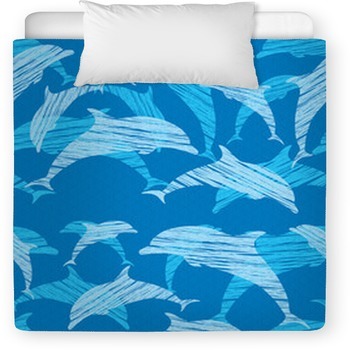 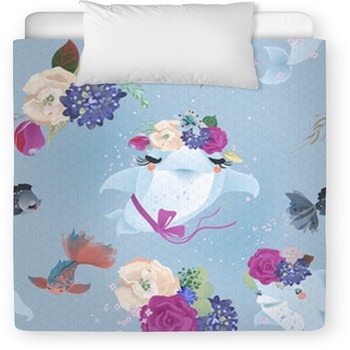 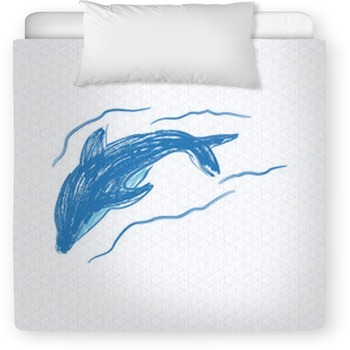 Dolphin baby bedding does not have to be a recreation of some cartoon like drawing. 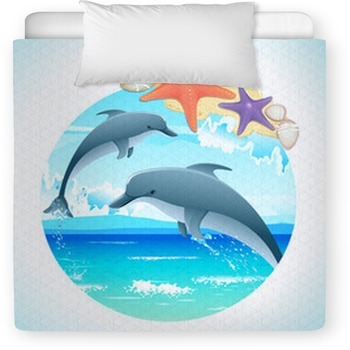 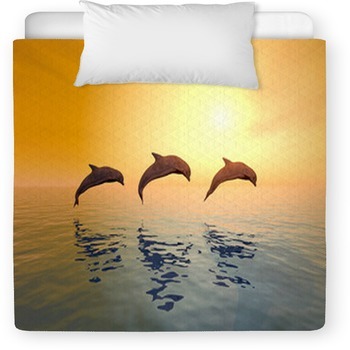 Using real life photos, your crib or toddler bedding can be more than a play off of last years design, it can be a custom photographic dolphin masterpiece that you use as a soft baby bedding set. 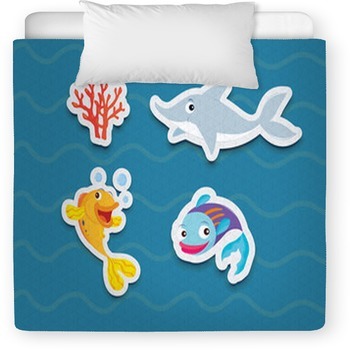 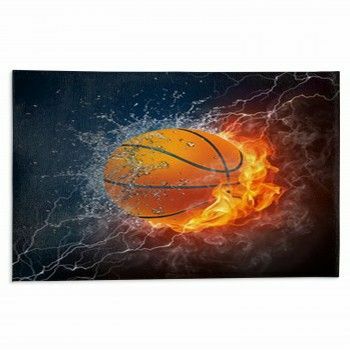 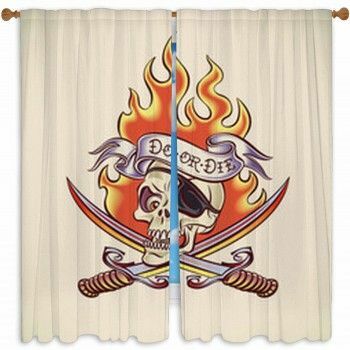 Add a wall mural in your baby's nursery which can be used for either a girl or boy's room.